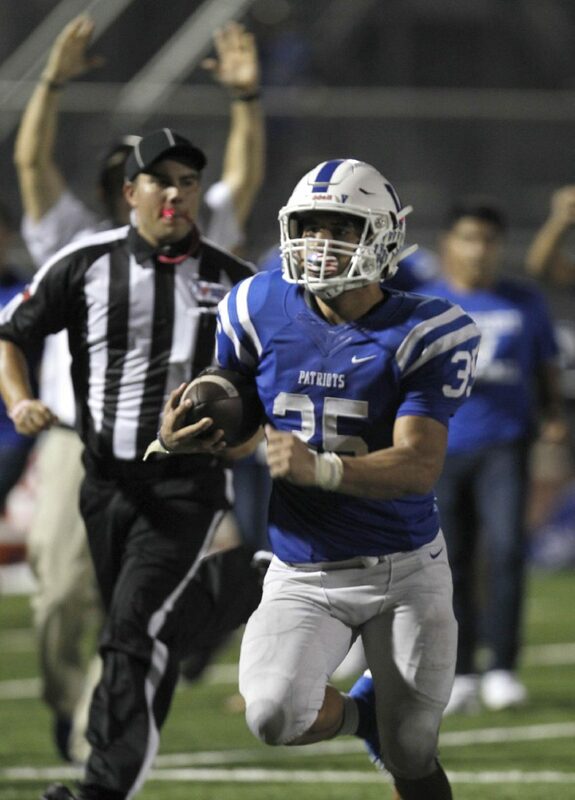 MERCEDES — Mission Veterans running back Daniel Cantu has made a name for himself through the Patriots’ first seven games. 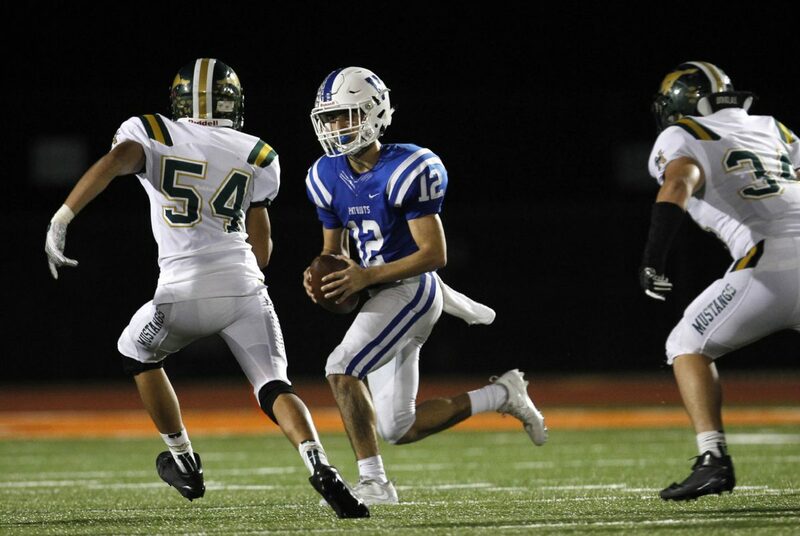 Lining up next to junior quarterback Landry Gilpin, it would be easy to get lost in the shadows, but the sophomore has let his play shine through. 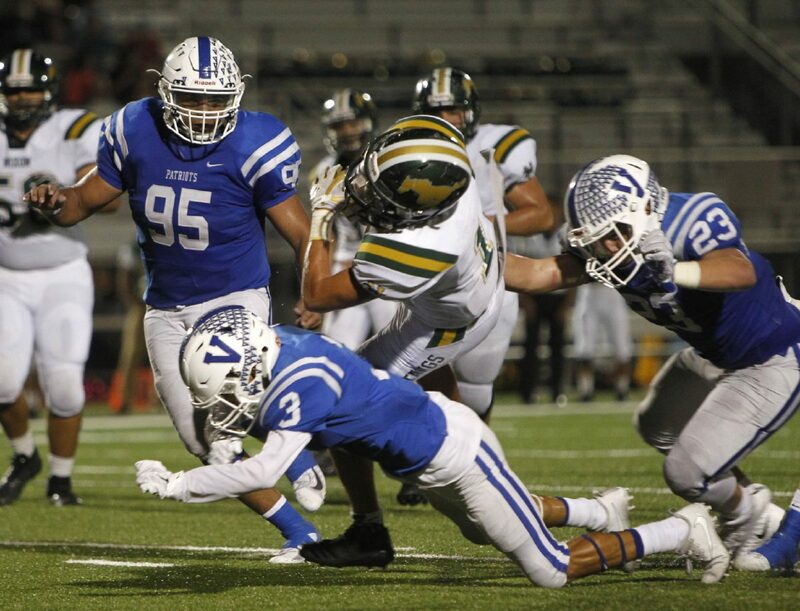 Cantu picked up his fifth and sixth rushing touchdowns of the season in the Patriots’ 48-17 win over the Laredo Nixon Mustangs on Friday at Tiger Stadium in The Monitor’s Game of the Week. 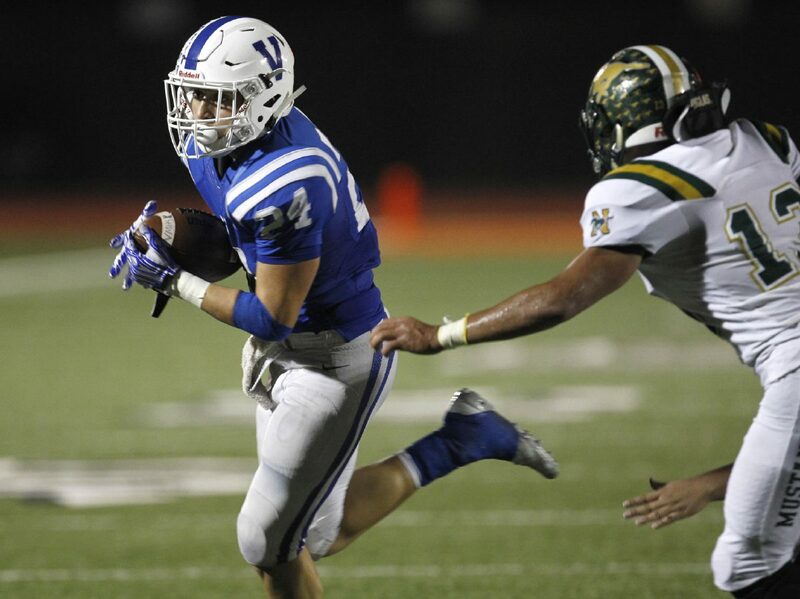 In his seventh varsity game, Cantu ran for 76 yards, and he also picked up his first receiving touchdown of the season. The score came with 24 seconds left in the half, and it put the Patriots up 28-10, effectively ending the game. 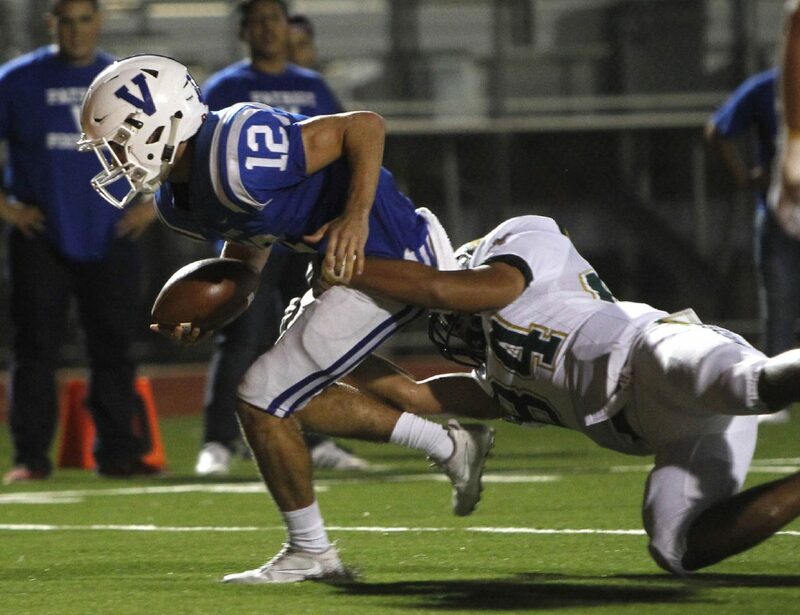 With the game tied at 7, Mission Veterans was on the doorstep. The Patriots were facing a third-and-10 at the 16-yard line when Nixon bailed them out with a pass interference on third down. 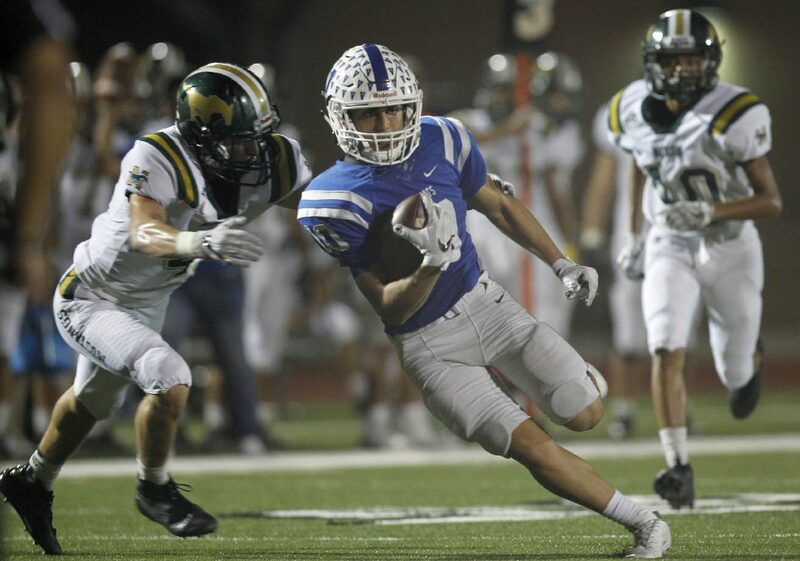 Still, the Patriots were in a third-and-goal situation from the 7 a few plays later, when Landry Gilpin connected on a pass with senior wide receiver Buda Gonzalez to put the Patriots up 14-7. A few possessions later, Nixon had the ball with less than three minutes to play in the fist half. 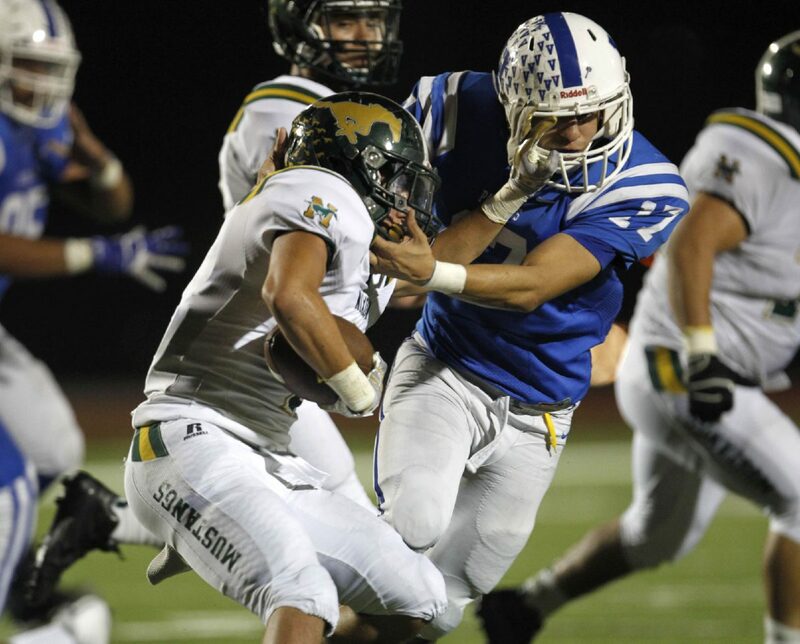 Nixon senior running back Emil Oliva was the force driving the Mustangs’ offense. To that point, he had 45 yards and a rushing touchdown. 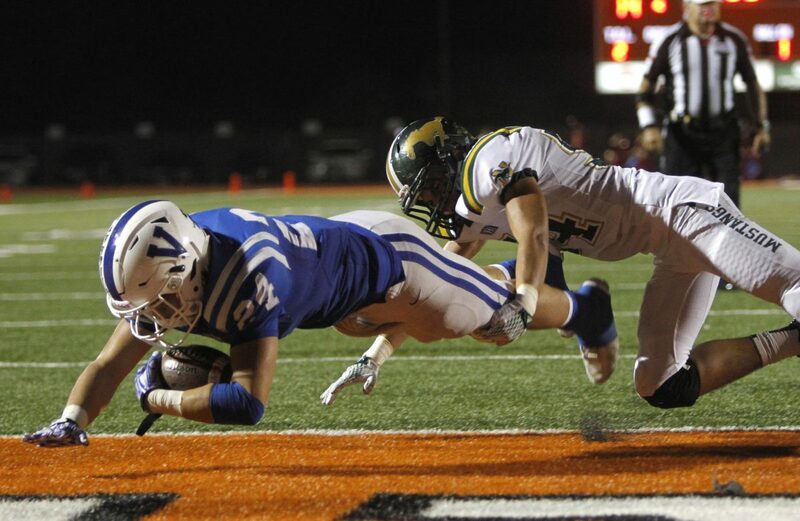 He ripped off a 12-yard run to move the Mustangs to the Patriots’ 1-yard line. After the play, the referee threw a flag. 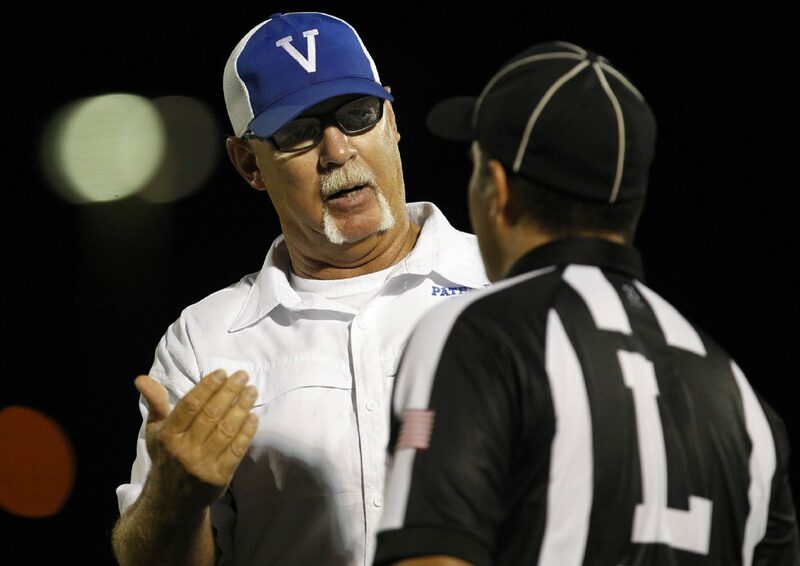 Oliva reacted to the flag, and the referee made the announcement that he was ejected from the game. 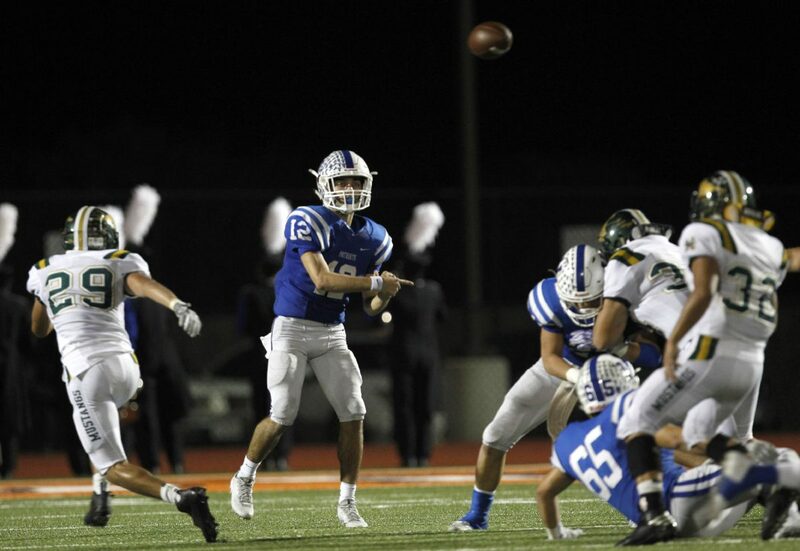 The penalty and loss of Oliva killed Nixon’s drive, and the Mustangs had to settle for a field goal. The Patriots grabbed the momentum after that. 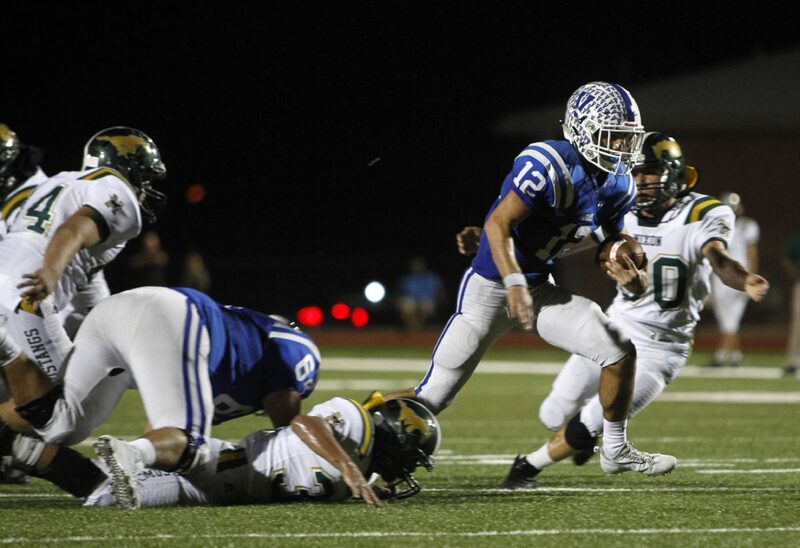 Cantu rushed for a touchdown. 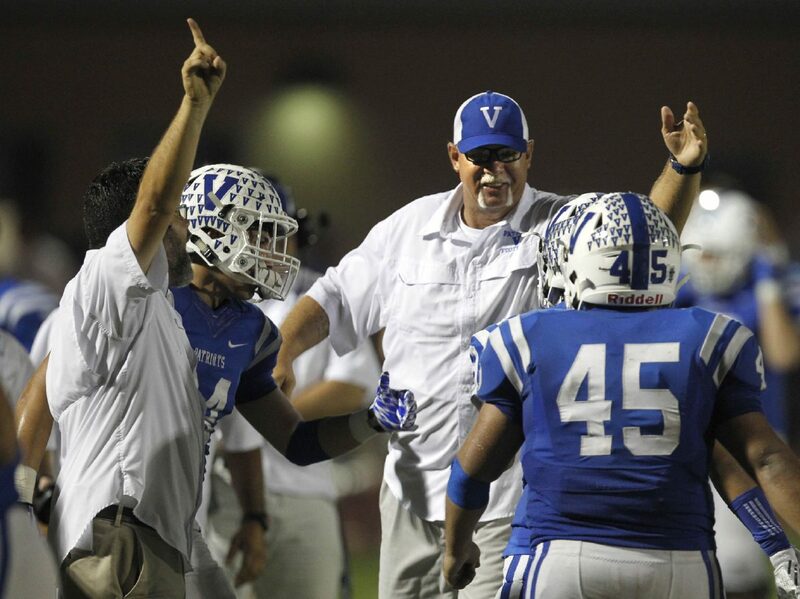 Then, the Patriots recovered a fumble, and that’s when Cantu caught his first varsity touchdown pass. Within two minutes, the game was effectively over. Vets took a 28-10 lead to the half and never looked back. 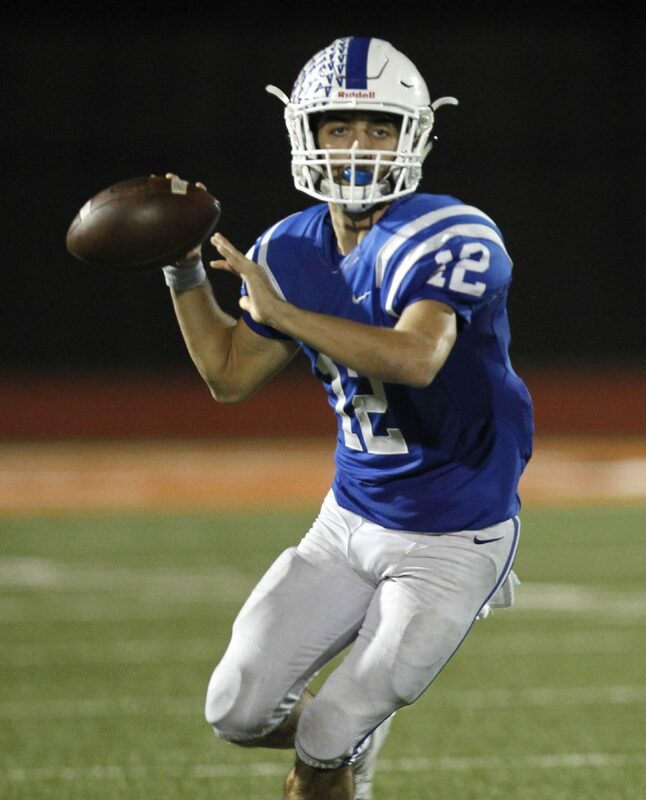 Landry Gilpin finished the night 16-of-24 passing for 309 yards and 3 passing touchdowns. He added 40 yards on the ground as well as a rushing touchdown. Gonzalez finished with two touchdown catches to go with 64 yards in the air. 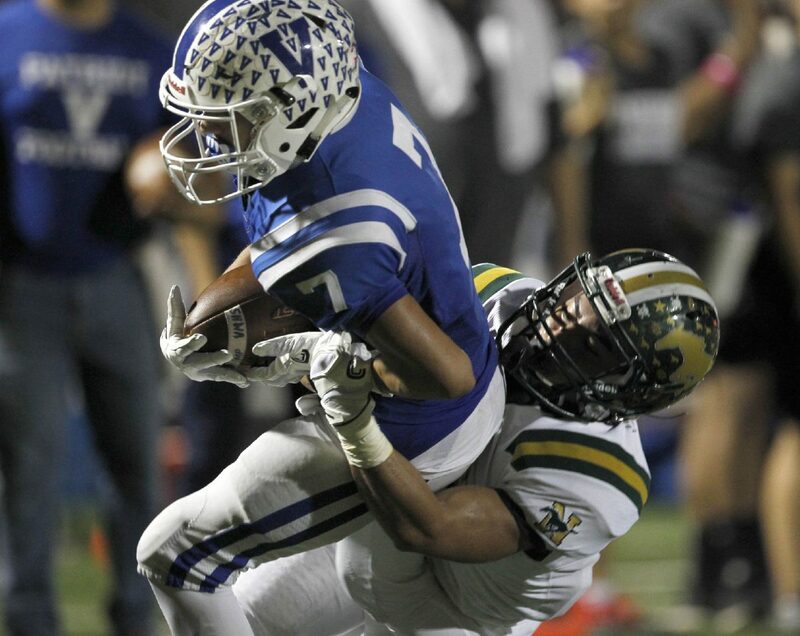 Sophomore wideout Mikey Garcia finished with 6 catches for 132 yards. Cantu began playing football when he was 8. He has always played running back. When his number was called this year, he was ready to go, and he continues to prove that with every game. Nixon was just the next step for Cantu and the Patriots.